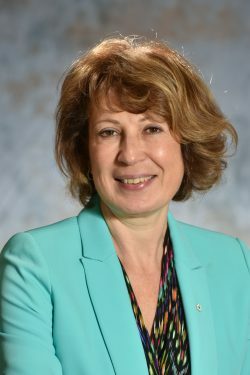 September 28, 2017 (Ottawa) The Stem Cell Network (SCN) welcomes Prime Minister Trudeau’s appointment of Dr. Mona Nemer as Canada’s Chief Science Advisor. Dr. Nemer is a distinguished medical researcher and well respected member of Canada’s stem cell research community. She has served on the Board of Directors for the Stem Cell Network for many years, providing strategic direction and insight that has enabled SCN’s success. As the newly appointed Chief Science Advisor, Dr. Nemer’s mandate will encompass impartial scientific advice to the federal government to ensure that science is accessible to the public and that scientists are able to speak freely about their research. About the Stem Cell Network: Supporting and building Canada’s stem cell and regenerative medicine research sector has been the raison d’être of the Stem Cell Network (SCN) since its inception in 2001. Its work has been supported by the Government of Canada from the beginning. SCN’s mandate is to act as a catalyst for enabling the translation of stem cell research into clinical applications, commercial products and public policy. In just over 16 years SCN has forged a national community that has transformed stem cell research in Canada, brought research to the point where regenerative medicine is changing clinical practice and established an outstanding international reputation. SCN has pushed the boundaries of what was a basic research area towards translational outcomes for the clinic and marketplace.